There is no doubt that the textile industry – the production of clothing, fabrics, thread, fibre and related products – plays a significant part in the global economy. It also frequently operates with disregard to its environmental and social impacts. The textile industry uses large quantities of water and outputs large quantities of waste. As for social aspects, many unskilled jobs have disappeared in regions that rely heavily on these industries. Another serious and still unresolved problem is the flexibility textile industry companies claim to need. Faced with fierce international competition, they are increasingly unable to offer job security. This is without even considering the informal-sector work proliferating both in developing and developed countries. Child labour persists within this sector despite growing pressure to halt it.Fashion demands continuous consumption. In seeking to own the latest trends consumers quickly come to regard their existing garments as inferior, if not useless. "Old" items become unwanted as quickly as new ones come into demand. This tendency towards disposability results in the increased use of resources and thus the accelerated accumulation of waste. 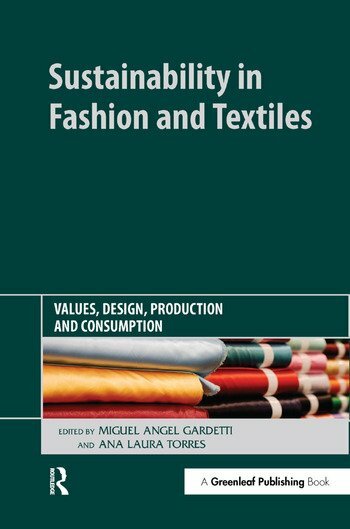 It is obvious to many that current fashion industry practices are in direct competition with sustainability objectives; yet this is frequently overlooked as a pressing concern.It is, however, becoming apparent that there are social and ecological consequences to the current operation of the fashion industry: sustainability in the sector has been gaining attention in recent years from those who believe that it should be held accountable for the pressure it places on the individual, as well as its contribution to increases in consumption and waste disposal.This book takes a wide-screen approach to the topic, covering, among other issues: sustainability and business management in textile and fashion companies; value chain management; use of materials; sustainable production processes; fashion, needs and consumption; disposal; and innovation and design.The book will be essential reading for researchers and practitioners in the global fashion business.